Discover the events that have shaped our world, from the dawn of prehistoric civilization to the digital age, brought to life with contemporary photographs, maps, paintings, and artifacts that place each event in a wider social and historical context. 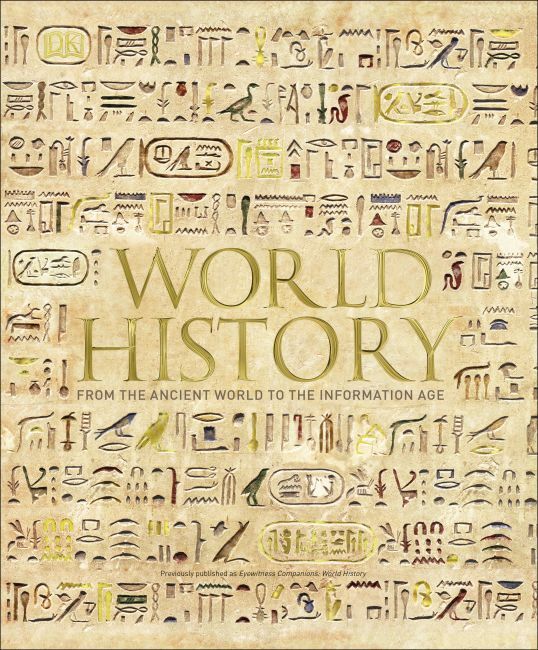 With entries on more than 350 of history's most important events, World History looks at turning points throughout the ages and the key thinkers, leaders, ideas, and inventions involved, to chart the story of humanity's journey. Boxes and feature spreads throughout the book introduce and explain technological advances, military campaigns, influencers, and more. Packaged in a sturdy slipcase perfect for gift-giving.